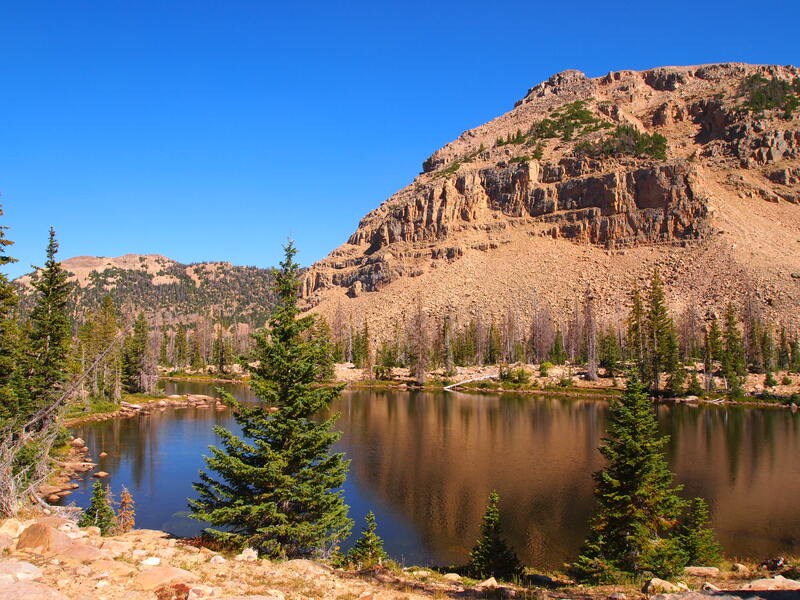 Ibantik Lake – Uinta Mtns. 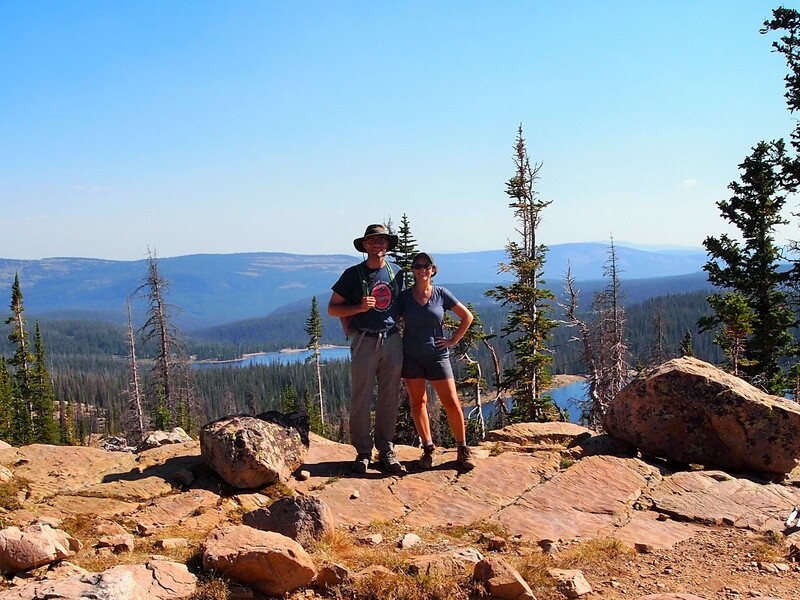 A few weekends ago we made our first trip to the Uinta Mountains. 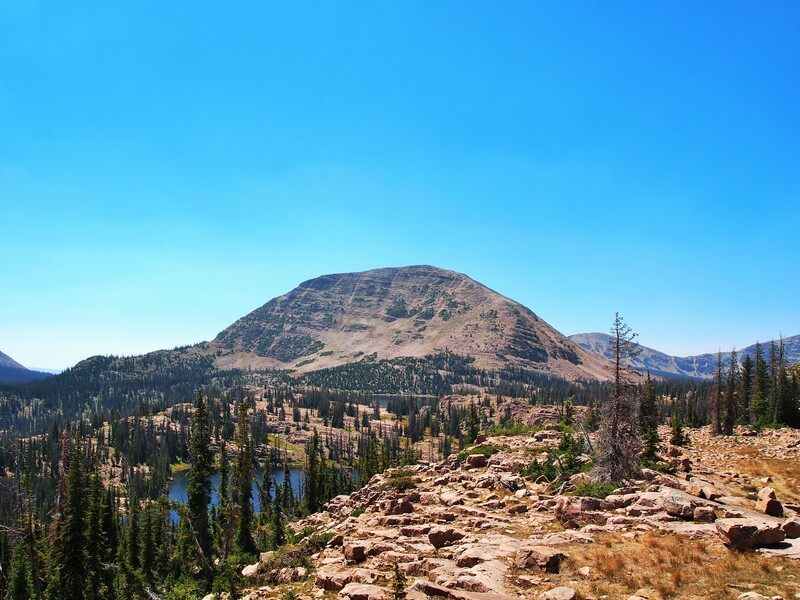 A little over an hour from Salt Lake City, the Uinta range is the highest in Utah. 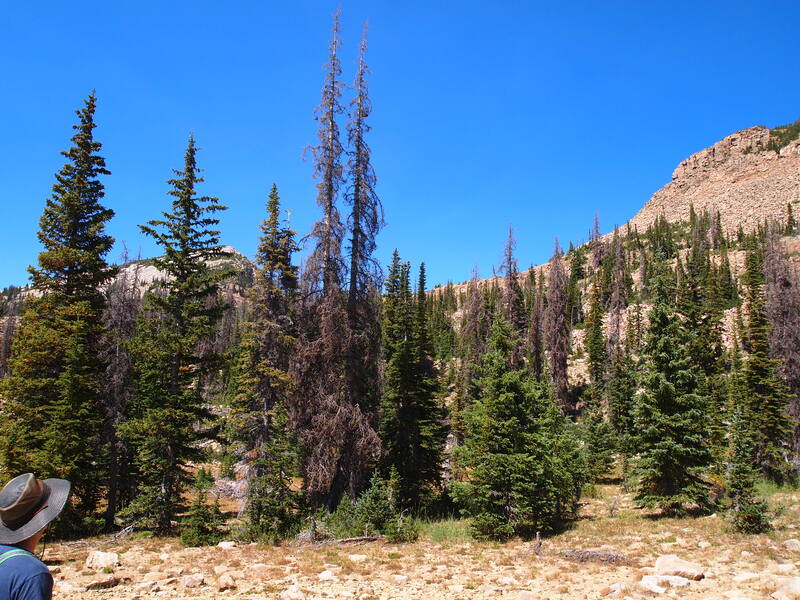 Elevations run from 8,000 ft. to 13,528 ft. at the highest point, Kings Peak. 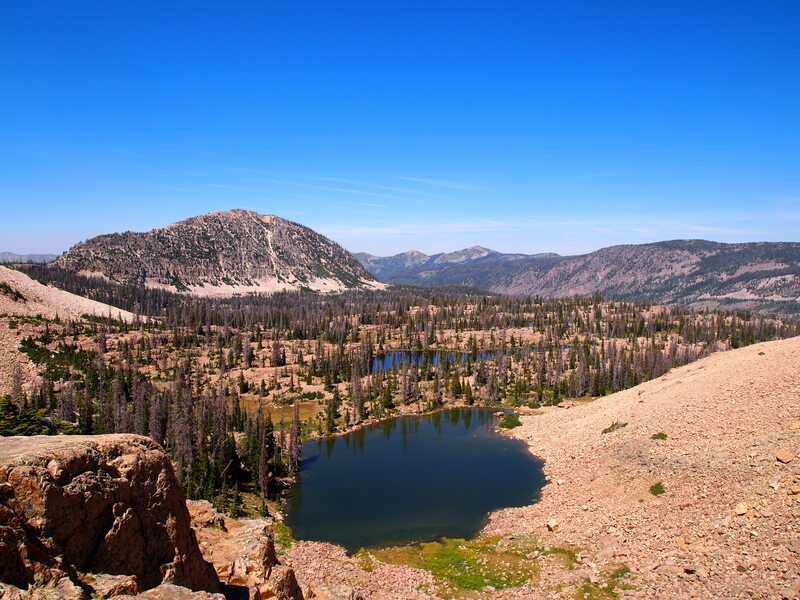 The Unita range is also unique as the only major range in the Continental US to run east to west. 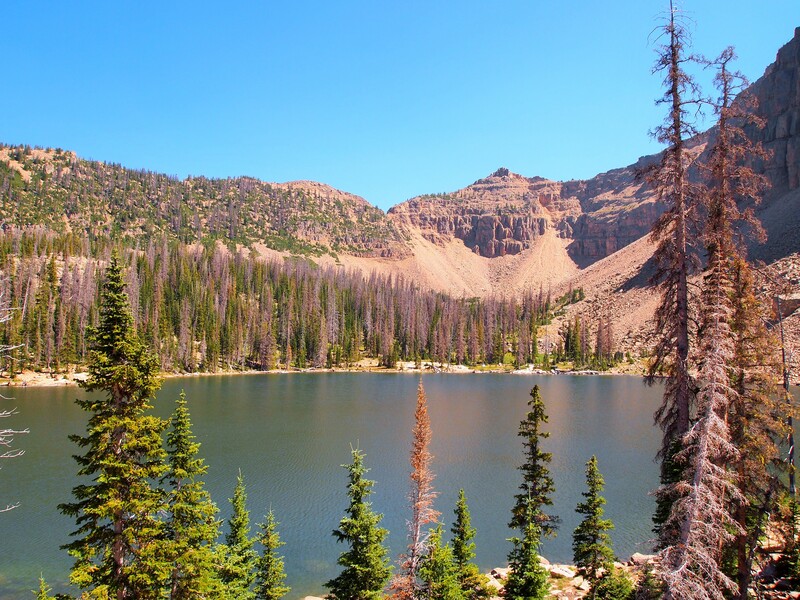 Zach picked out a nice day hike for our first foray into the Uintas, Ibantik Lake. 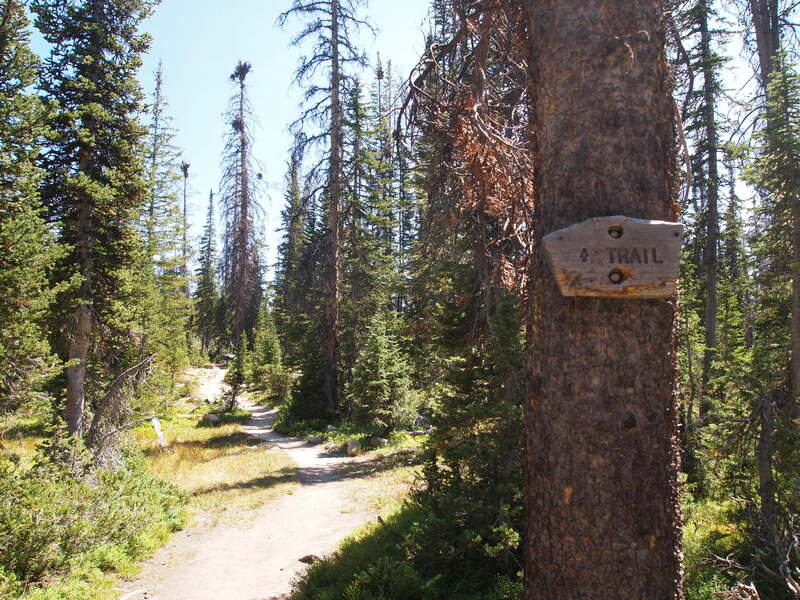 The hike is 8 miles round trip and starts at the Crystal Lake Trailhead parking lot. The lot was already overflowing when we arrived around 12:45pm – a little late to start a day hike – and I thought the trail might be crowded with other hikers. 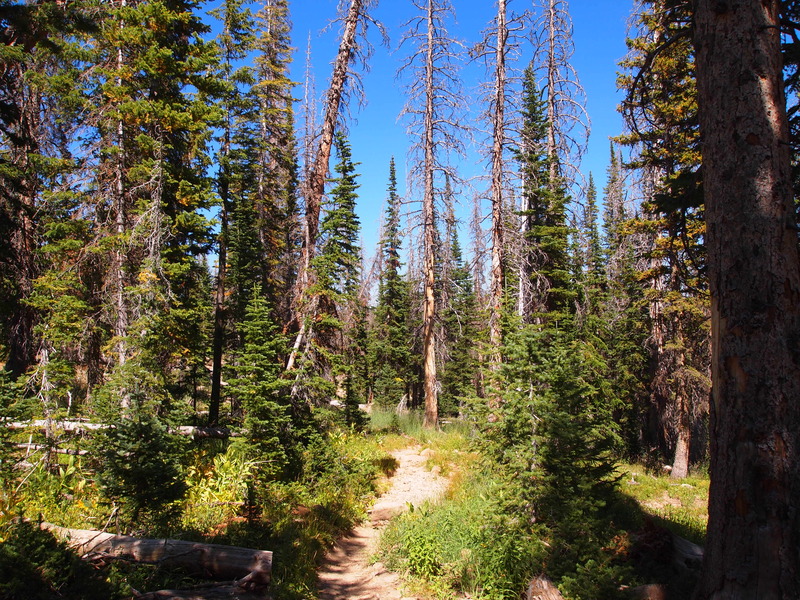 However, there are several trails which lead off of the parking lot so our route was hardly ever crowded. 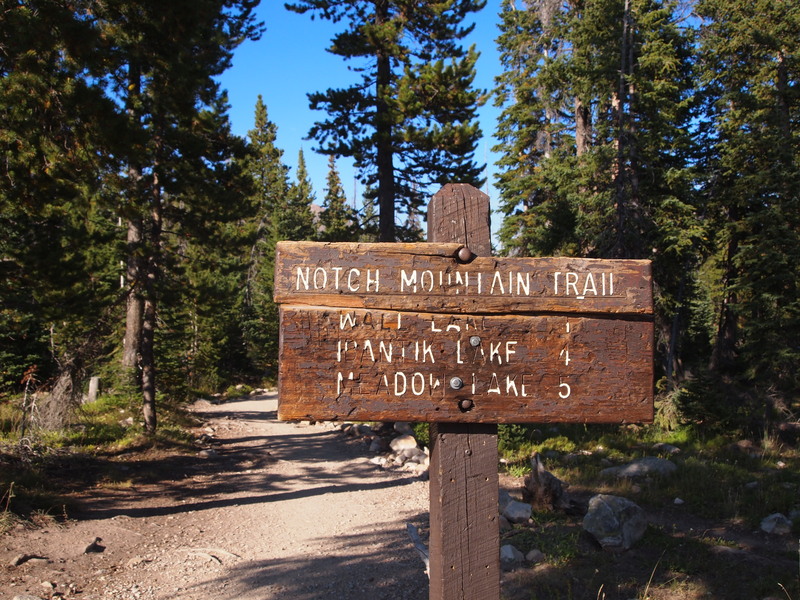 We began at the Notch Mountain Trailhead at an elevation of 10,014 ft. 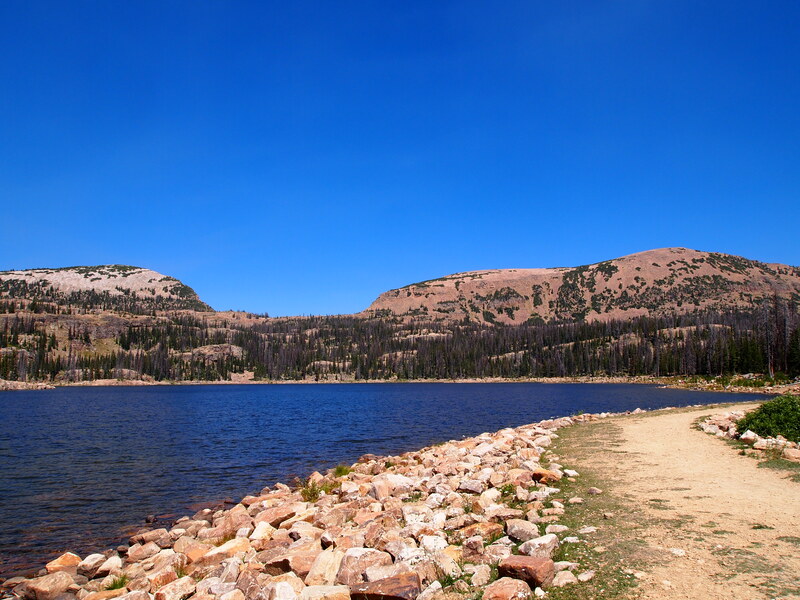 The first part of the trail led us to Wall Lake, a popular destination for swimmers, campers, and doggies. From the lake we could see Notch Mountain and the Notch, which we would ultimately climb up and over to reach Ibantik Lake. 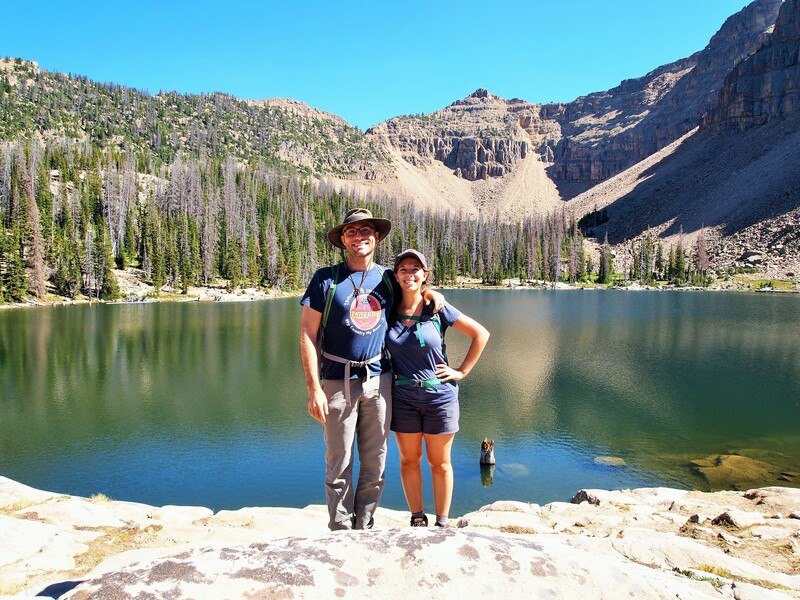 We hiked along the lake for a short bit then followed the trail into the trees where we could catch glimpses of the lake every now and again. 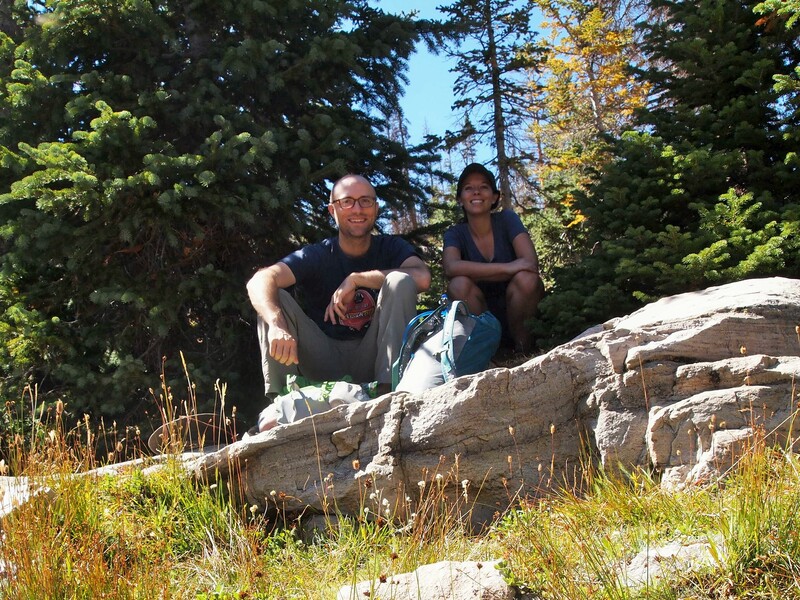 There were several camping spots off the trail in secluded but easily accessible spots. Follow the trail to ? 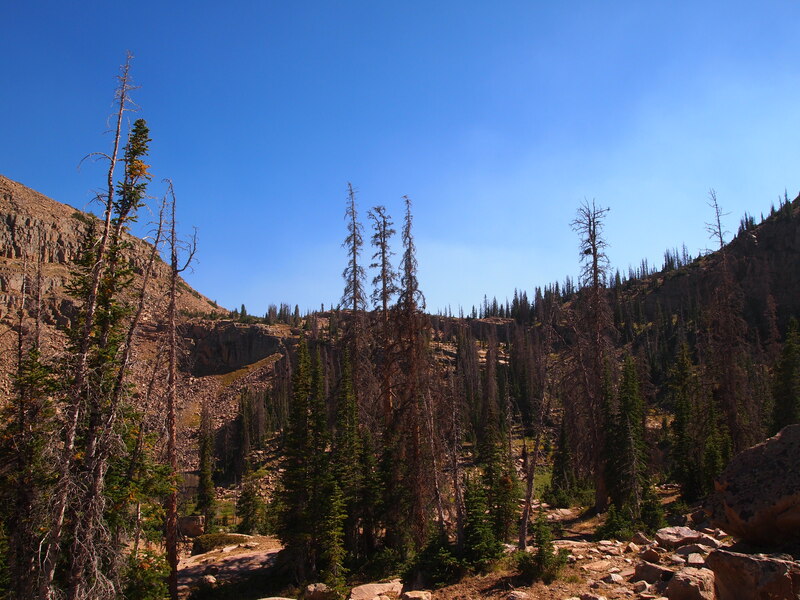 We climbed a little bit on our way toward the Notch, but we weren’t yet fully above the treeline. 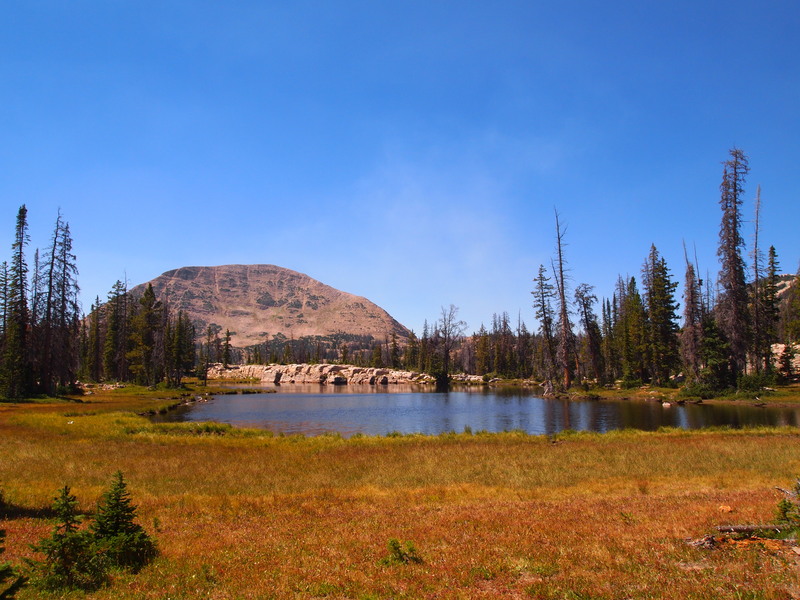 Along the way were several small marshy lakes perfect for wildlife looking for water. All of our hopes were in vain though, not one animal was spotted. 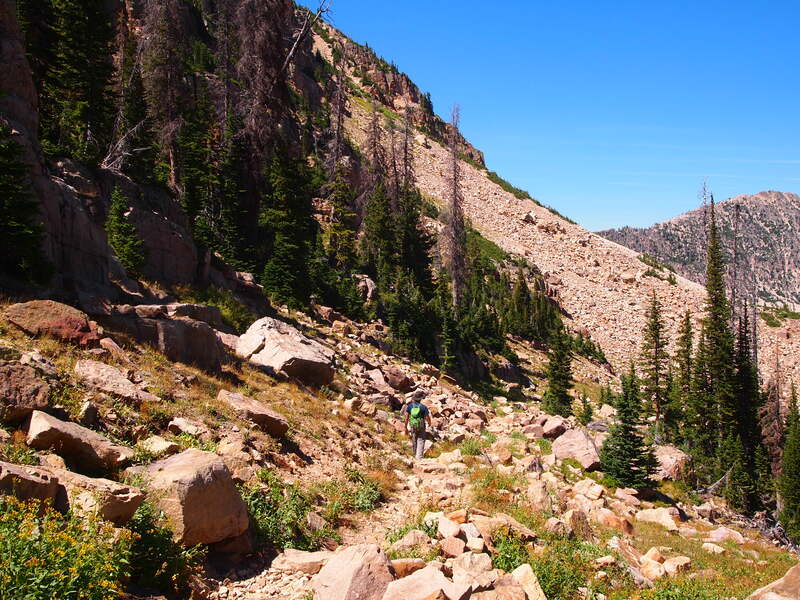 Once we reached the top of the Notch, which is a pass that divides Notch Mountain in two, we were surrounded on both sides with mind-blowing beauty. Looking back down on our climb, we had views of Wall Lake, Trial Lake, North Twin Lake, and Clyde Lake, as well as Mount Watson. On the back side we had a nice view of Lovenia Lake and another nameless lake, but Ibantik Lake was still hidden on the other side of Notch Mountain. We made it Ibantik Lake a short time later; the final two miles didn’t feel like much but it was still nice to reach the lake and take a break for some food. 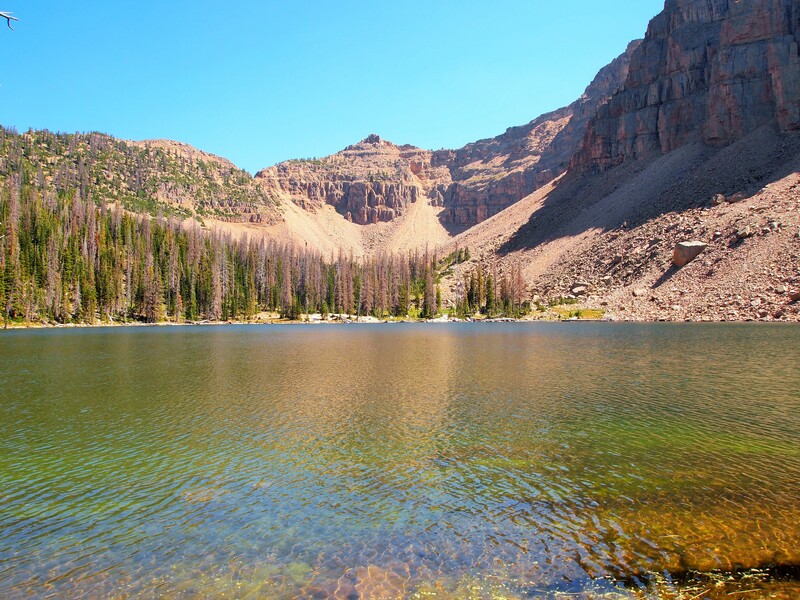 We spotted one tent across the lake from us and only one other hiker enjoying the lake. 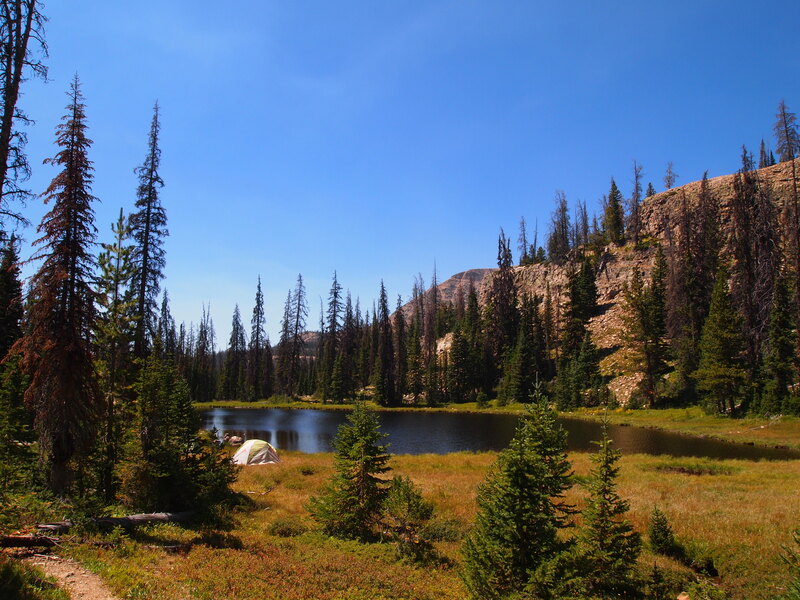 A pretty peaceful spot to camp overnight – maybe we can do it next year. On our way back we passed several people who were going to camp for the night at Ibantik. 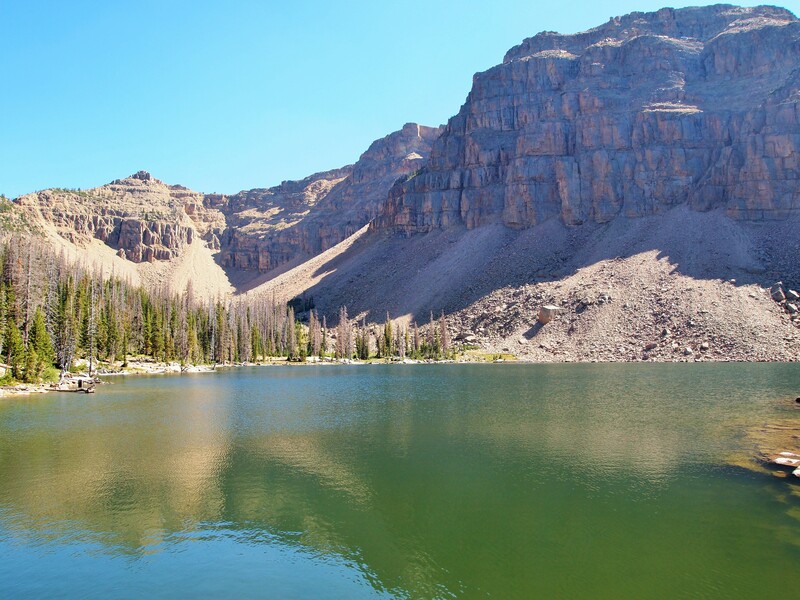 It definitely pays to hike early and get the best lakeside spot – mental note for next summer. 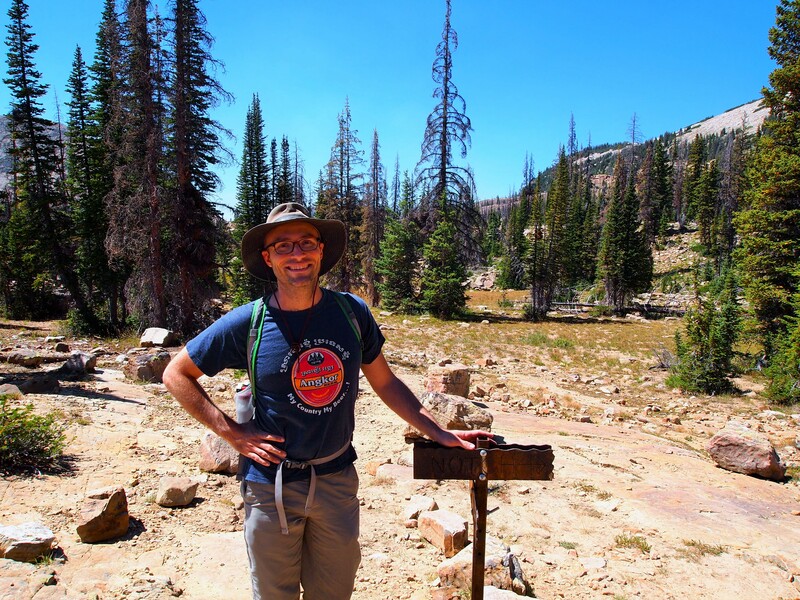 We stopped at the Notch on our way back to commemorate the highest elevation we’ve hiked to yet – 10, 604 ft.
On top of the Notch! 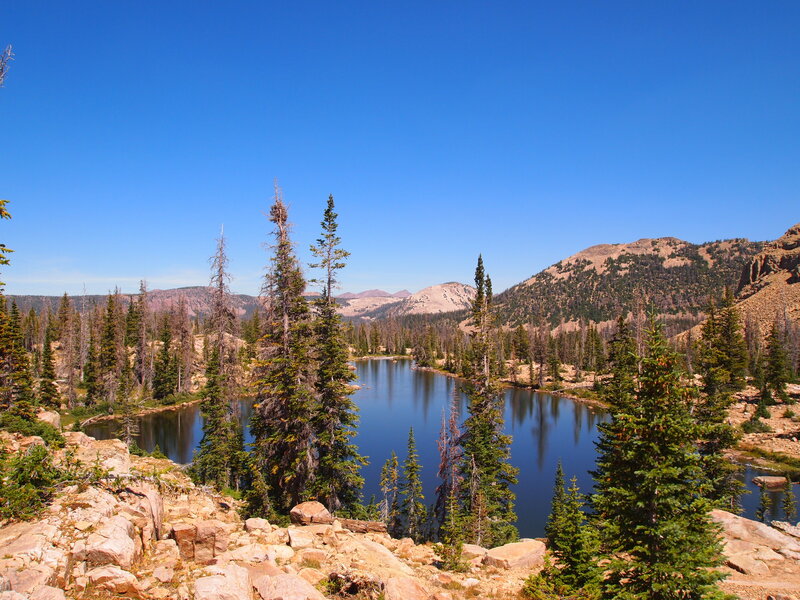 All in all, this hike was worth every minute. 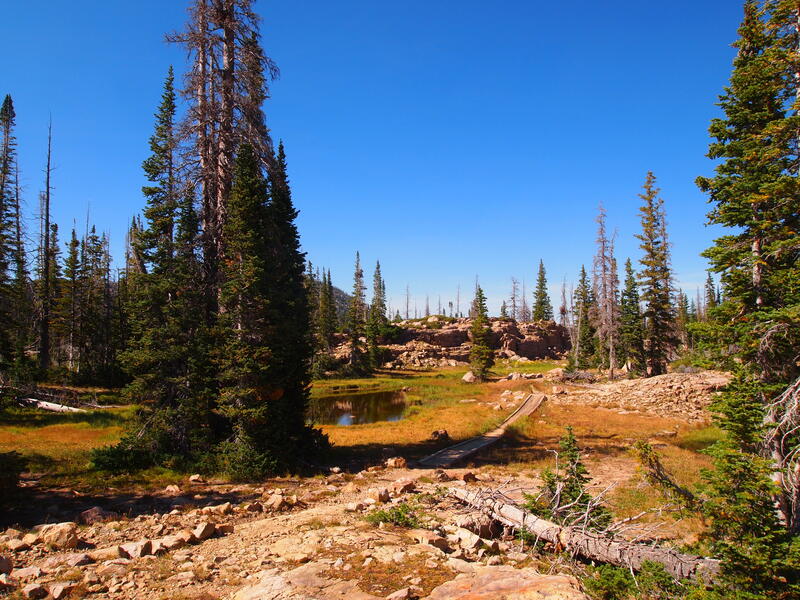 Usually a trail leads to one or two alpine lakes, but on this hike, it’s lake after lake after lake. 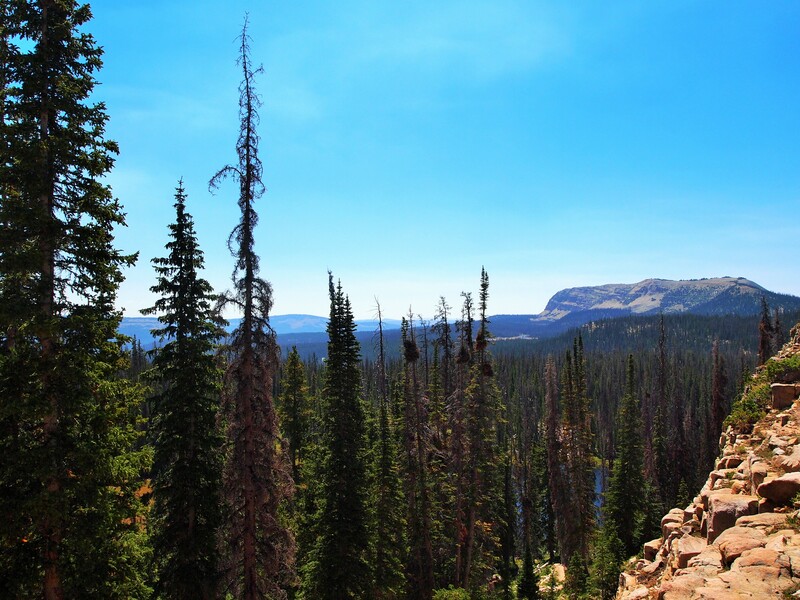 The view from the top of the Notch doesn’t get any better, and on top of that the elevation gain is only a little less than 600 ft. 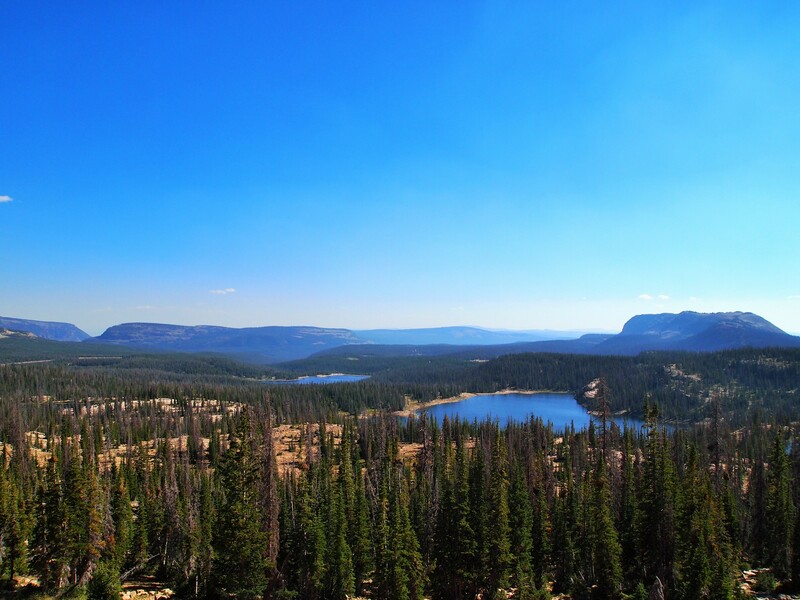 It was a great hike to introduce us to the Uintas – we’ll be back!